Extraordinary, admission-free performances, a spectacular setting—and truly something for everyone. 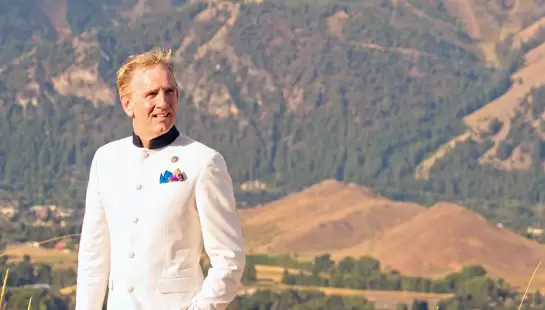 With a blockbuster lineup for the 2019 Summer Concert Series, Sun Valley Music Festival celebrates two milestones: 35 seasons of the finest music-making, and 25 years under the baton of beloved Music Director, Alasdair Neale. Virtuoso violinist Ray Chen won the Yehudi Menuhin and Queen Elizabeth competitions (the only violinist to win both), wears Armani (his sponsor), and made Forbes’s 2018 list of the 30 most influential Asians under 30. The summer’s opening night includes Chen soloing in Mozart’s delightful and inventive 5th Violin Concerto, and joining Festival Assistant Concertmaster Juliana Athayde to weave together a beautiful stream of independent and overlapping melodies in Bach’s Double Violin Concerto. Three 20th century composers riff on the styles exemplified by Bach and Mozart in the opening program. Stravinsky’s “Dumbarton Oaks” evokes Bach’s Brandenburg Concerto No. 3, while Prokofiev channeled Mozart and Haydn in structuring his lovely “Classical Symphony.” Ravel orchestrated his suite for small orchestra titled Le Tombeau de Couperin in a baroque style, delivering a surprisingly light-hearted memorial for friends lost in World War I.
Virtuosic French artists present a stunning recital (without orchestra). Pianist and Sun Valley favorite Jean-Yves Thibaudet returns with one of the world’s leading cellists, Gautier Capuçon, for a week-long residency. Their program continues the thread of works inspired by earlier composers with Brahms’s Cello Sonata No. 1, which pays homage to Bach’s The Art of the Fugue, and Shostakovich’s Sonata in D Minor, a beautiful piece written in 1934 but structured in classical form. With picnic basket, folding chairs, blanket, and our two kids in tow, we find ‘our spot’ on the lawn and settle in for what we know will be a wonderful evening of music, fine dining, and chatting with friends old and new. As the glorious music wafts over us and the mountains start to change color in the background, we enjoy a wonderful family night out. And it’s free!" Alasdair Neale and Principal Horn William VerMeulen both celebrate 25 years with the Festival this season, and this program pairs them up on Strauss’s fiendishly difficult Horn Concerto. Strauss wrote it for his father, who was Germany’s leading horn virtuoso. However, upon seeing the score, Strauss senior pragmatically decided to cede the glory to another player. Providing comic relief to the program, Strauss’s Le Bourgeois Gentilhomme offers a humorous satire on social climbing. Jean-Yves Thibaudet brings to life George Gershwin’s follow-on to Rhapsody in Blue. Gershwin packs this concerto full of jazz, blues, Charleston dance rhythms, and ragtime. Bernstein’s glittering Candide Overture opens the program, and Respighi brings it home with the thundering closing of Pines of Rome. If the ground doesn’t tremble under the marching of Rome’s triumphant legions, we’re not doing it right! Richard Wagner tells you what you need to know about Beethoven’s Symphony No. 7: “All tumult, all yearning and storming of the heart, become here the blissful insolence of joy, which carries us away with bacchanalian power through the roomy space of nature, through all the streams and seas of life, shouting in glad self-consciousness as we sound throughout the universe the daring strains of this human sphere-dance.” The Egmont Overture foreshadows the evening’s theme of triumph over oppression. The Edgar M. Bronfman String Quartet concludes its exploration of Beethoven’s late quartets with his Grosse Fuge, a monumental piece that began as the final movement of an earlier quartet but was so imposing that his publisher convinced him to publish it alone. It’s paired with Shostakovich’s 14th Quartet, wherein Shostakovich gave the lead role to the cello. Inspired by a popular New York Times article, “5 Minutes That Will Make You Love Classical Music,” Festival musicians, their children, and Music Institute students were asked for ideas on what pieces made them fall in love with classical music. Their answers created this program. 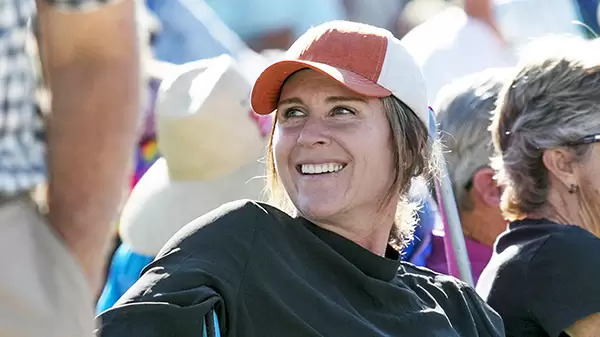 Located on the lawn next to the Paver Bar, these 30-minute chats offer insightful, entertaining introductions to the concerts 45 minutes before every performance at the Pavilion, except the Gala. Join in person or stream on your phone from the Festival website. Held in the canopy at the back of the Pavilion lawn during summer performances, children ages 4-8 can explore music with local music educator Lisa Pettit through hands-on projects and activities while you attend the concerts. It’s free—of course—but reservations are recommended. The Festival Store is open every concert day during the Summer Concert Series from 1:00PM through 1/2 hour after the performance. It is closed during the concert. The Store is your source for information, Festival swag and CDs, picnic supplies, and lost and found. In 2014, the BBC Proms commissioned Anna Clyne to write an “exuberant” piece. She delivered Masquerade, which makes a perfect prequel for Prokofiev, who said he wanted his 5th Symphony to “sing the praises of the free and happy man—his strength, his generosity and the purity of his soul.” His optimistic symphony cheered its Russian audience at its premiere in 1944, and is one of the great orchestral works of the 20th century. Mason Bates, Musical America’s 2018 Composer of the Year, returns for a week-long residency. In Liquid Interface, he uses the orchestra, recorded sounds, and electronics to evoke the soothing and menacing aspects of water in its various forms. Concertmaster Jeremy Constant and Principal Violist Adam Smyla open the program with Mozart’s Concerto for Viola and Violin. Mozart loved the viola as much as the violin, and this work showcases the range of the two instruments. Former Sun Valley Music Festival Assistant Conductor Teddy Abrams returns to lead an all-Gershwin program. Singer, songwriter, actress, Broadway, and YouTube star Morgan James sings your favorite Gershwin songs, while Abrams himself takes to the keyboard for Rhapsody in Blue. Mason Bates brings back Devil’s Radio, an orchestral piece commissioned by the Sun Valley Music Festival for its 30th Anniversary in 2014. This year also celebrates the 50th anniversary of the first moon landing with Passage, a piece Bates wrote for mezzo-soprano Sasha Cooke that incorporates excerpts from John F. Kennedy’s “moonshot” speech. Finally, fly beyond the moon to Venus, Mars, and Jupiter in Holst’s character study of the solar system, The Planets. Musicians of the Sun Valley Music Festival curate and perform a program of pieces they love. “Everything comes together here to create truly moving musical experiences—whether you're a devoted classical music fan, or just out for a great evening. The elevation, mountains, trees, endless sky—combined with the most welcoming of communities—inspires me and all our musicians to bring the ideas and passions of composers from across the centuries to life."